i’m late. i’m incomplete. i’m out of order. i didn’t follow directions. but i’m here. i haven’t done my assignment since last Friday. there were nosebleed seats to be sat in at a Falcons game (rise up!). there were reflections to capture for a blogiversary (happy, happy!). and there was some general re-arranging of life that necessitated re-arranging of posts. for example, Monday’s assignment was supposed to be about the space where you write. i’m holding that one until everything is in place and i can do my new office reveal (soon!). Today, use a quote or passage from something you’ve read to introduce your post. it also says to lead with a block quote. personally, i think block quotes are visually bo-ring as post intros. so i worked it in down here, instead. now that i think about it, i pretty much haven’t followed any of the rules. and guess what? it’s all okay. i’ve still been posting most every day and getting out of this what i wanted, which was to get re-focused on writing regularly. twisting prompts to fit my style is a good exercise in creativity. and what the heck, y’all. keeping myself on my toes by not having everything (what will i write? when will i write? where will i write?) always planned out — by a curriculum or by me — also fuels the flexibility and creativity that makes all of this enjoyable in the first place. and i’m more than glad i haven’t missed out on any of the fun! how often do you play by the rules? thanks! definitely gotta keep things fun! Kristin, I too have had a serious lapse in posts, and have twisted them to fit my perspective and needs. Life gets in the way sometimes, but still, I’m writing more than I ever have and have discovered wonderful and funny voices like yours. 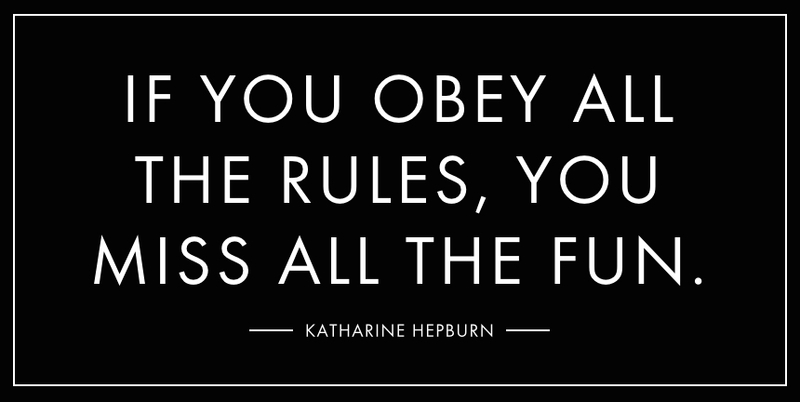 And you can’t do better than follow the advice of the fabulous Kate. so true. I have absolutely lapsed this week. but god, there has been a lot of fun! writing more than ever is a wonderful feeling. here’s to continued inspiration and success! I’m getting back there, I hope!